So I have finally decided to go ahead and give this whole podcasting thing a bash! I have finally found the right software to use and have started doing some trial recordings. This podcast is hopefully going to come with something a little unique. Many of you who follow either myself, or my good lady wife (@Mrs999) on twitter seem to enjoy some of the ‘good natured’ back and forth that we have when communicating through tweets. As you know, she is also a paramedic (and most likely a better one than I) and although she keeps saying that she is shy, we all know that not to be true, right?? So I have this crazy idea that she hasn’t exactly agreed to yet….Well, she doesn’t actually know about it, but hey, why should that stop something special? How about a UK based EMS Podcast to showcase what is good, bad, different, interesting, new, challenging and exciting in the world of Pre-Hospital care in this little ‘ol island of ours. However, in our show it will be hosted by both Sandra and I. A real husband and wife team! I’m hoping for this to be a general discussion podcast, with issues coming from the news, the blogosphere and operational staff. It will be as informal as possible and open for all to come on and have a chat. There is one BIG warning though. 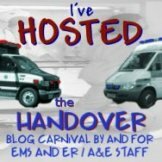 I am no Chris Montera (EMS Garage), Jamie Davis (MedicCast), Kyle David Bates (First Few Moments), Justin Schorr (The Happy Hour), Greg Friese (Medical Author Chat) or Ron Davis & Kelly Grayson (Confessions of an EMS Newbie). I am just me. I know I won’t be the most dynamic or exciting host, but that is where our Guests and my wife will come in. She can be the Glamour! I’m excited to get this all started, but for now, I will be running some practice Skype calls and quickly learning how to edit and produce a podcast. I am not going to commit to a time frame and at this time I cannot even commit to a frequency of the podcast (I need to see how much time the University course takes up first), but I am hoping for bi-weekly to start with. Watch this space for updates and if anyone wants to get involved in designing some images for the podcast or putting a theme tune together, then you know where I am and I would be really grateful for any help from those of you out there far more talented than I. And what about the name………. Thanks to Insomniac Medic who inspired the shortened title from his original suggestion. The title, I hope, brings two separate meanings. Firstly, a collection of stories and discussions about what is important in the ambulance service, what really matters; then also just the fact that ambulances and those who work on them do actually matter! « The EMS Blogosphere goes pink! Love it! Can’t wait to hear the first episode! Dr Anonymous is looking forward to my little show!! No pressure then……. You will of course be credited with the name! We will have to have a bit of a practice on Skype soon! Love the “husband and wife” idea…we don’t hear from Mrs. 999 near often enough! Looking forward to the first one! Shes a little hesitant, but then she was like that with twitter too. I cant get her off that now! Mrs999’s going to jump on board! That’s awesome! I am SO excited about that! Really. I think it would be great. Hey, buddy. I’ll listen. I may not be able to understand a word you say… but I’ll hear what I may think you might mean. And the Mrs has a wonderful accent as well. Can’t wait for the first show. Looking forward to it –> hopefully sooner rather than later!! Working on it! As soon as possible! Only kidding Mark. Best of luck, looking forward to it.